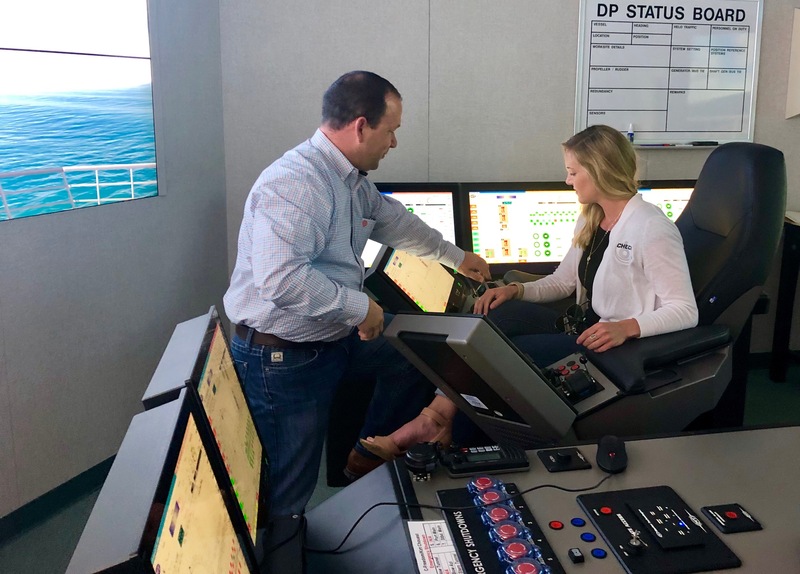 David “Nutty” Hazell, Check-6 Senior Vice President for Global Sales and Business Development Manager Courtney Nicosia recently had a fascinating visit at Chouest Corporate Headquarters in Cut Off, Louisiana. 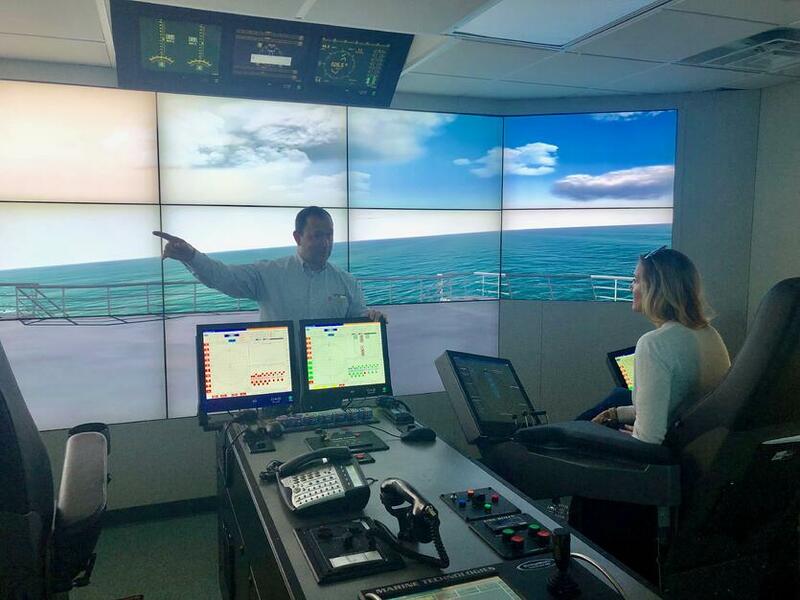 Billy Joe Pellegrin, VP QHSE Edison Chouest Offshore is demonstrating how the dynamic positioning simulator works. 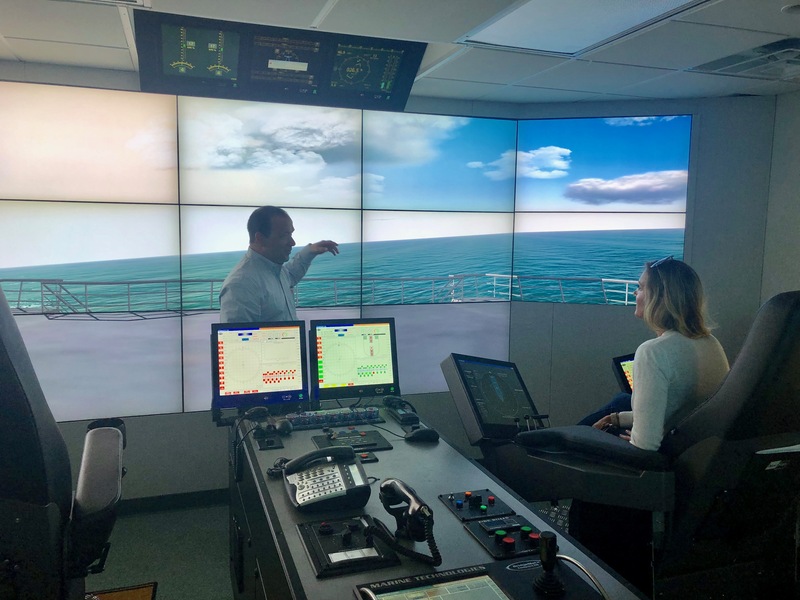 It is impressive technology in the midst of a top-of-the-line training facility. The training aids in safety for the crews and certainly puts you in the middle of the action! Thanks Chouest for an eye-opening tour!